WHERE DAVIS COUNTY IS LOOKING! 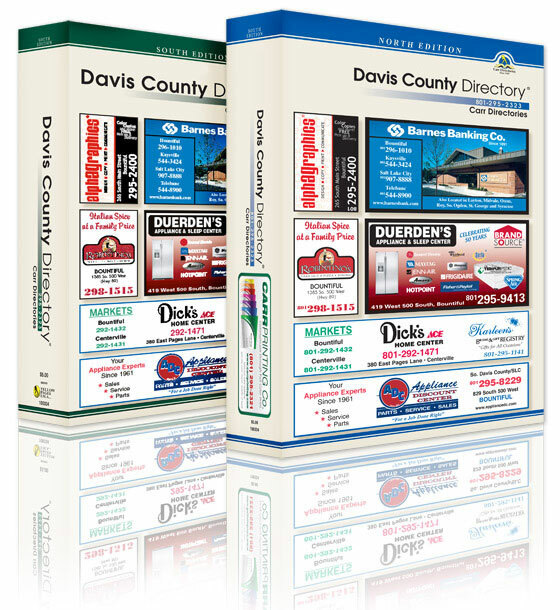 Since 1960 and still the #1 Directory in Davis County! Advertise where Davis County is looking. 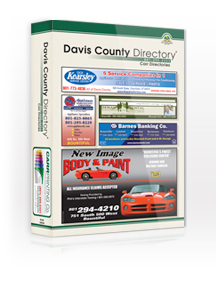 Why do Davis County people use our Directory? It's easier to use than other area directories. It's customized for each end of the county. It contains the most current and researched listings. Names of spouse are included. It's a smaller, more convenient size. Advertising reaches more people in Davis County. All iPhone images are for demonstration purposes Only! • iPhone is a registered trademark of Apple Inc.